There’s a new season of The Grand Tour coming in just a couple weeks, but it’s not the only bit of new content from the three lads. We’re speaking of course about the new The Grand Tour video game that’s slated to debut a few days before season three of the show. Specifically, the game launches January 15 and it seeks to give players the experience of being the famous motoring trio. To find out if that’s true, the famous motoring trio sat down to play, um, themselves. The short video doesn’t really tell us anything we don’t already know about the former Top Gear team. They bicker a bit, crash into each other, and laugh at Hammond who apparently wrecked so bad he couldn’t finish the race. The clip does, however, show us a digitized version of the Eboladrome – the virus-shaped test track carved out of taxiways and access roads at a former Royal Air Force airfield near Wroughton in the UK. 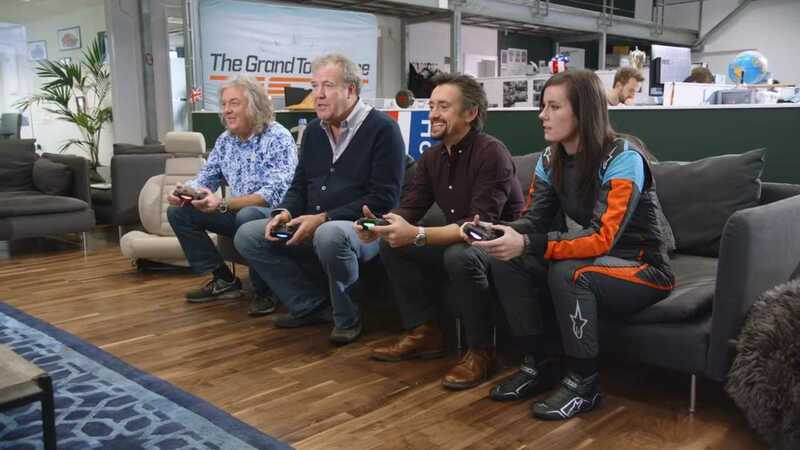 We also get to see the game’s four-way split screen capability in action for multiple players to partake in the fun, and we’re very happy to see The Grand Tour’s test driver Abbie Eaton getting in on the fun with the second video featured above. In the show’s second season she was simply an unnamed voice emanating from a full-face helmet during timed laps. Teasers we’ve seen for the third season suggest she’ll have a more active role, and we’re quite excited to see how she foils the unchecked masculinity of the three notorious presenters. We first saw The Grand Tour game a few months ago in an early form, and we have to admit, it looks like it’s come a long way in a short time. We’re eager to give it a go, if for no other reason than to do something prompting a guttural Claaaaaaarkuuuuun from James May. The game arrives for Xbox One and Playstation 4 on January 15. The third season of The Grand Tour launches January 18 on Amazon Prime.